ALL IN THE ROOTS: A plant’s roots are a marvellously multitalented organ. They act as fingers and mouths helping plants forage and absorb water and nutrients. 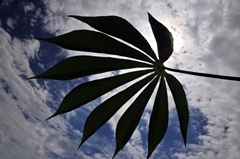 They act like arms and legs offering a sturdy base of support so a plant doesn’t keel over. They help store food and water, like our stomach and fat cells. 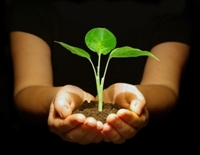 And in some plants, can spawn new life – we leave that to your imagination! That is why it is of little surprise that this multitalented organ was the key to discovering why some rice lines yield better in phosphorus-poor soils, a puzzle whose answer has eluded farmers and researchers… until now. 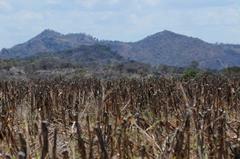 And even better, the findings hold promise for sorghum, maize and wheat too. Please read on! In 1999, Dr Matthias Wissuwa, now with the Japan International Research Centre for Agricultural Sciences (JIRCAS), deduced that Kasalath, a northern Indian rice variety, contained one or more genes that allowed it to grow successfully in low-phosphorus conditions. For years, Matthias made it his mission to find these genes, only to find it was as easy as finding a needle in a genetic haystack. 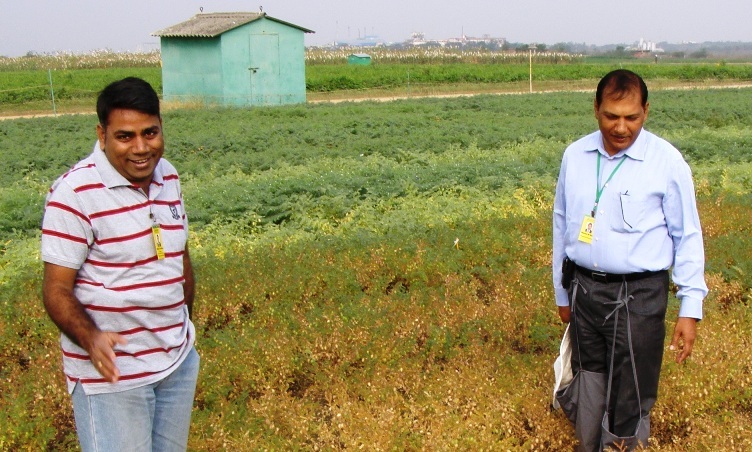 He teamed up with the International Rice Research Institute (IRRI), and with GCP’s support, the gene trackers were able to narrow the search down to five genes of interest. “We had started with 68 genes and within three years, we had narrowed in on these five candidate genes. And then, one-by-one, we checked whether they were related to phosphorous uptake,” recollects Dr Sigrid Heuer, senior scientist at IRRI and leader of the team that published the discovery in Nature in August 2012. 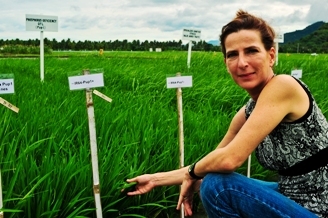 Sigrid Heuer at a rice phosphorus uptake demonstration field in The Philippines. 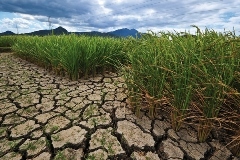 Rice, like all plants, needs phosphorus to survive and thrive. It’s a key element in plant metabolism, root growth, maturity and yield. 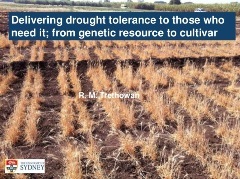 Plants deficient in phosphorus are often stunted. Farmers can get around this by applying phosphate fertilisers. However this is a very expensive exercise and is not an option for the majority of the world’s rice growers, especially the poorer ones –the price of rock phosphate has more than doubled since 2007. The practice is also not sustainable since it is a finite resource. By selecting for rice varieties with PSTOL1, growers will be less reliant on phosphate fertilisers. In phosphorus-poor soils, PSTOL1 switches on during the early stage of root development. The gene tells the plant to grow larger longer roots, which are able to forage through more soil to absorb and store more nutrients. A rice variety — IR-74 — with Pup1 (left) and without Pup1 (right). Although the researchers focussed on this one key nutrient, they found the extra root growth helped with other vital elements like nitrogen and potassium. Another by-chance discovery was that phosphorus uptake 1 (Pup1), the collection of genes (locus) where PSTOL1 is found, is present within a large group of rice varieties. Using conventional breeding methods, Sigrid says that her team introduced PSTOL1 into two irrigated rice varieties and three Indonesian upland varieties, and found that this increased yields by up to 20 percent. Like all GCP projects, this one invests as much time in building capacity for country breeding programmes as on research. Sigrid and her team are currently conducting the first Pup1 workshop to train researchers from Bangladesh, India, Indonesia, Nepal, Philippines, Thailand and Vietnam. They will share molecular markers that indicate the presence of PSTOL1, techniques to select for the gene, as well as for new phosphorus-efficient varieties. 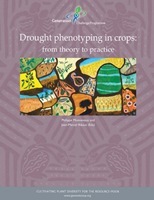 Breeding for phosphorus-efficient rice in the Philippines. 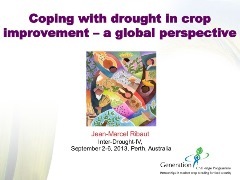 This IRRI-led project was conducted in collaboration with JIRCAS and the Indonesian Center for Agricultural Biotechnology and Genetic Resources Research and Development (ICABIOGRAD) working with the Indonesian Centre for Rice Research. Other partners included: Italy’s University of Milano, Germany’s Max Planck Institute in Golm, the University of The Philippines at Los Baños, USA’s Cornell University and University of California (Davis and Riverside), Brazil’s EMBRAPA, Africa Rice Center, Iran’s Agricultural Biotechnology Research Institute, Australia’s Commonwealth Scientific and Industrial Research Organisation (CSIRO) and University of Dhaka in Bangladesh.